So as some of you may know, I am an aspiring singer and a major YG Fan! 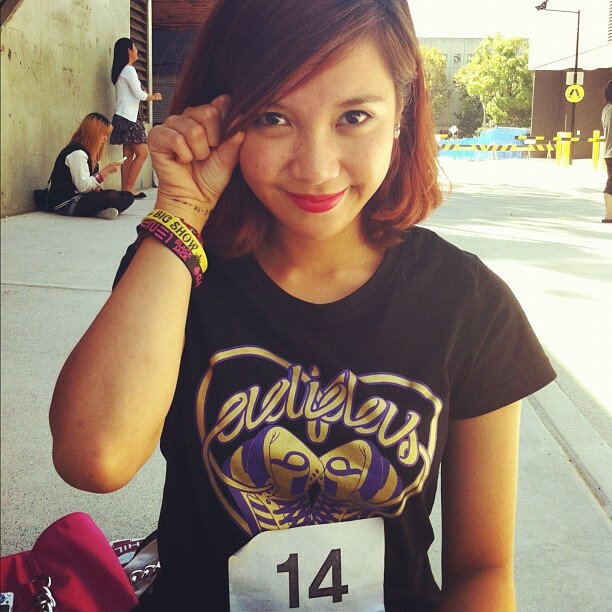 So when I heard YG Family were having auditions right here in Sydney, I grabbed the opportunity! I won’t bore you with the minor details but basically, we got to Chatswood very early (mind you I live almost two hours away) and I got to be the 14th Auditionee (is that even a word?) !! I sang 아파 (slow) by 2NE1. I knew it was a popular song…. but I didn’t think it was that popular… I was Number 14, and I met two other people who sang the same song before me. Can you imagine how many other people would have sung it after? Anyway, here’s a little snippet from my audition…. The night before I had completely lost my voice from recording with my band, but thanks to steam inhalations, ginger, honey, lemon and prayers I got my voice back long enough to sing! Did you audition for YG? Or any other Korean companies such as JYP last year? Rumour has it that SM Town will be having auditions in Sydney later on in the year, so for you Sydney siders out there, keep your eyes peeled! Anyway, I’m keeping positive but if I don’t get it this time around, YG, you’ll be seeing me again. I’ll be auditioning in Seoul next year. 🙂 I’ll leave you guys with Park Bom’s audition for YG Family! So in the past 72 hours alone, YG Entertainment have released two new videos from their two biggest acts: 2NE1 and BIGBANG. Personally, I have no bias here. They are my two favourite K-Pop groups and I like them both on an equal level. 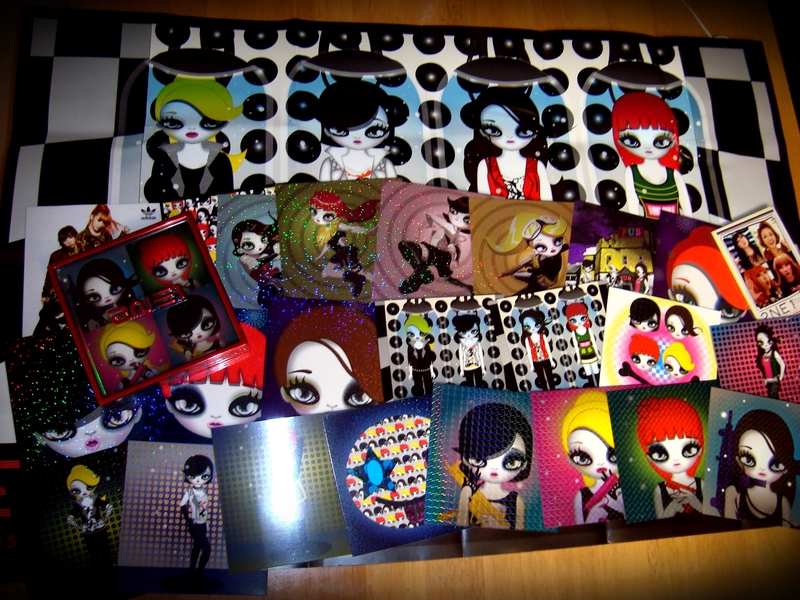 I find that their colour schemes are very similar in their respective MVs however I enjoy 2NE1’s clip more. I find that 2NE1 are more into their clip (movement wise) and it makes me want to get into it more, whereas Big Bang’s MV is more laid back. On the other hand, I love Big Bang’s set design and just overall costumes more (however I’m definitely going to be stealing 2NE1’s style from “Scream”). Anyway, I’ve just got to say that Dara looks amazing! Loving all her styles. And Minzy’s hair looks great! What songs do you show a K-Pop n00b? K-Pop is getting more and more popular with each passing day especially with all these groups trying to break into the International market. I mean, Billboard has a K-Pop Hot 100 chart, SNSD were on The Late Show with David Letterman a couple of weeks ago, 2NE1 are working with Will.I.Am, and Hyuna had so many comments from foreigners on her Bubble Pop video when it came out on Youtube (mostly because of not-so-innocent and non K-Pop related reasons). I'm sure Bill Murray feels the heat! But what songs do you show someone who’s never listened to or given K-Pop a chance? I believe K-Pop isn’t too different to Western music. There’s something for everyone. This is just my opinion but I don’t think you can limit K-Pop to just straight pop. You have Big Bang for your Hip Hop lovers, CN Blue & FT Island for the rockers, Clazziquai for the Jazz Cats, (Some) Park Bom for the Balladeers, Wondergirls for the Motown folk, and SuperJunior for the “Big Band” fans (lel) … the list is endless. I think all you have to do when you’re showing someone K-Pop for the first time is match their music tastes to the K-Pop group. Obviously you wouldn’t show an acoustic fan a B.A.P. song and you wouldn’t show a heavy rocker dude an SNSD song. It’s all just a matter of matching the music to the person. Anyway, the reason I came to writing this post was because I had an assessment at uni today. What we had to do was choose a song we like and re-arrange it into a new genre. Most of the people in my class have not listened to K-Pop (if they’re listening to world music, it would most likely be Latin) so what I did was sing “The Boys” by Girls Generation and I re-arranged it into a Motown shuffle feel. I got a few giggles from the class when I said I took a K-Pop song but in the end I definitely enjoyed it and I’m sure other people liked it too. How can you go past this song? This song started my K-Pop journey for me, and along with the Korean version, there’s an English version too to slowly ween people onto the genre. I put this one in the list more for the video clip. It’s different and I’m sure people will appreciate it. Don’t think I’m going to finish this post without adding at least one Big Bang song. (VIP!) If you haven’t already checked out their new tracks “Bad Boy” and “Blue” from their new album “Alive” do so now! Anyhoo, these were just the songs that popped into my head as I wrote the post. There are so many more songs that I could add (but I’m sleepy now). Let me know what songs you would show a K-Pop n00b in the comments below! Welcome to the first edition of K-Talk Tuesdays! At the time I’m writing this post, 2NE1‘s “I am the Best” video has had over 34 million views on Youtube. So why did I choose this phrase? Because why not??!! I was going to start off with something boring like “Annyeong” which means “Hello” but I’m sure if you’re reading this blog or have access to the internet you already knew that. Obviously, the phrase was made popular by 2NE1 when the song and video clip came out on June 27, 2011, and even more so when the second mini album came out in July 2011. I'm a massive fan, can't you tell? Anyway, I hope you’ve liked your first taste of K-Talk. If there are any particular words or phrases you’d like me to check out and write about next week, let me know in the comments below! I just think this video is absolutely worth a watch. It reminds me of me before I took the time to actually listen to K-Pop. Now I’m ashamed to say, I’m the absolute opposite of these children. Over the past few weeks, this has been the most common question I’ve received from my colleagues, my family, friends and just everyone really. Of all the places in the world, why Korea? Even the Koreans are asking why. Initially, Korea wasn’t high up on my list. I just got back from a 3 month holiday in the Philippines and during that time I brainstormed a few places my friends and I could visit next year. Top on my list were Boracay (Philippines) or the Gold Coast in Sunny Brisvegas. Both beautiful places with tropical climates. Neither one too far from home and both well within our price ranges. So I messaged my friends on facebook to suggest my ideas… turns out since I was gone for such a long period of time (2 and a half months at that point), there were already ruminations about going to Korea! So there goes Boracay and the Gold Coast… but at the end of the day this was actually a lot more exciting for me. It’s a lot different to what I’m used to in terms of holidays. I’ve already been to both Boracay and the Gold Coast, both of which are summery beach places. I’m from Sydney so I could easily just drive down the coast to Bondi, but how often do I see snow?? Never! We’re going in February which most probably means snow! YAY! My friends have been massive fans of Korean culture for a long time. Kpop, Kdrama, Kfashion – you name it. I was fairly late to the entire Korean Culture boom when I got into it in 2009. Chantel introduced me to f(x)’s songs “Chu” and “La Chata”, and Cat introduced me to the Kdrama “My Girl” and I guess that’s what got the ball rolling for me. Also, during this time was the massive WONDERGIRLS boom and fortunately (or unfortunately?) for me I was holidaying in the Philippines (read: Asia) at this point and “Nobody” was playing on the radio, on TV, in shopping centres and everywhere, constantly. You’d think the radio DJ had fallen asleep and left “Nobody” on repeat. Anyway, I guess from that point my interest in Korean culture started to grow. 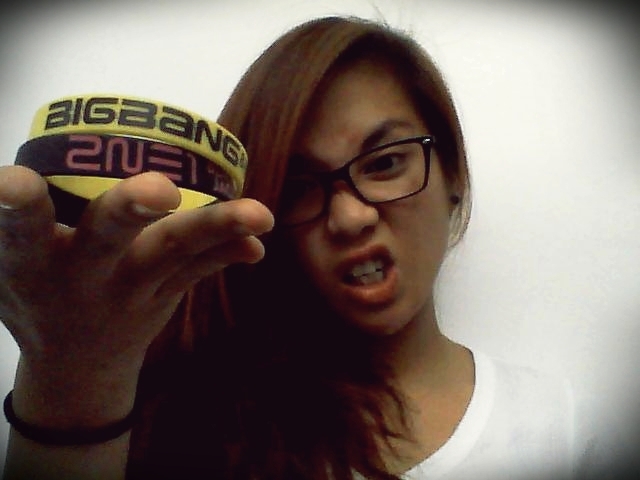 From there I started discovering my own favourite Korean related things (2NE1 and Big Bang anybody??) and basically, I developed an interest in all things Korean (which was fed by my slightly K-obsessed friends). So now you know a little about my background in regards to Korean culture, still, why Korea? Personally, I am going because I want a change. Korea is very different in terms of what I’m used to in terms of culture, climate and latitude/longitude. Korea will be my first holiday as an adult and by that I mean it’ll pretty much be the first time I’ll be away from Mommy and Daddy (aww) for such a period of time, and it’ll be my first non-family oriented holiday. I’ve been to other places but I’ve always gone with my family and I guess this upcoming holiday will be testing my independence and my ability to hold myself as an adult in the big wide world. This is my main reason for going. Simon, Martina & the Spudgy! Anyway, Eat Your Kimchi have started a segment recently called W.A.N.K. (Wonderful Adventure Now Korea!) where they travel to different places to review it so I suggest you check that out if you intend to travel there anytime soon. Other than that, they have K-Pop Mondays where they review songs and they also have TL;DR for any of your (mostly) Korea related questions. In their blogs they make Korea look so amazing, which I’m very sure it is! Pretty much everything they have reviewed is on our itinerary from Namsan tower to Se7en’s restaurant. So I’m going to wrap this blog up now and in my upcoming posts I guess I’ll write a little about the places my friends and I plan to visit.